Protecting Staircases can be a challenging task as dimensions can vary greatly. All of our Staircase solutions are supplied with unique Telescopic handrails meaning there is no need to cut down traditional tube to the required sizes. 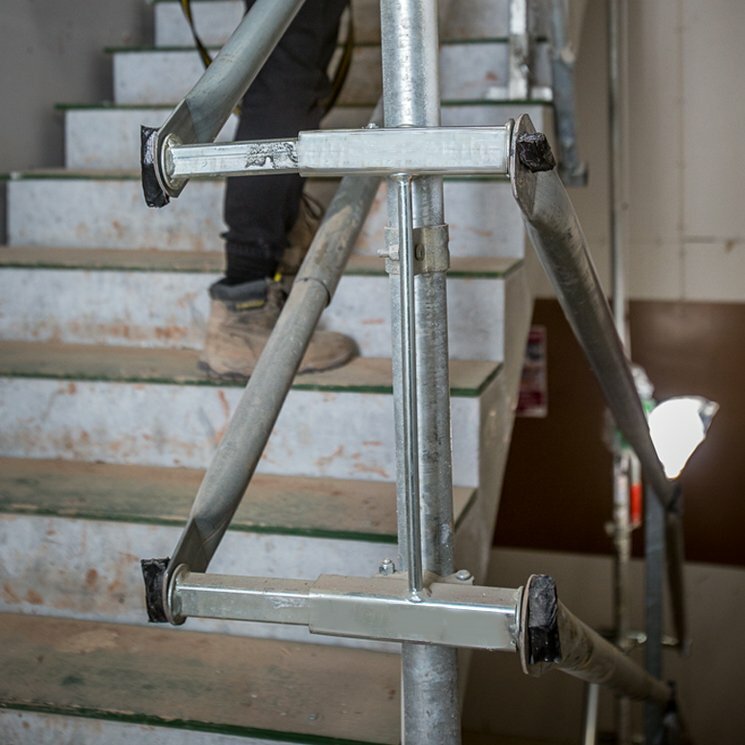 We can provide Timber Staircase solutions and Concrete Staircase solution’s with multiple fixing methods including drill & fix, clamping, Rapid Post & pre-cast options. With our pre-cast and drill & fix components we can also supply unique telescopic debris guards meaning we can offer full edge protection down the flights, landings & half landings including returns.